Technology giant Apple has Veiled the curtain over a dozen new emoji to express emotions on various Apple gadgets. 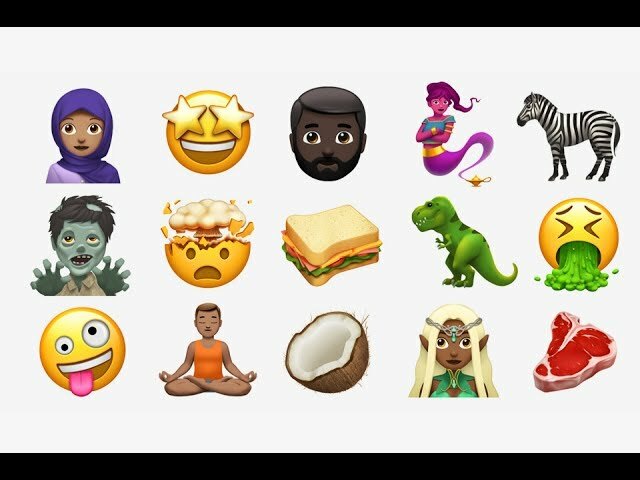 Among all the old Emoji, Apple included A Yoga Guru, a lady wearing hijab and also a given a place a breastfeeding mother. Technology Giant Apple has added a bearded man and food items such as sandwich and coconut in his new emoji. Apple shared the new emoji on Monday on the occasion of World Emoji Day. These will be released on Apple’s diverse operating system this year. New emoji will make it easier for users to express their feelings with greater diversity. New emoji includes bearded men and food items like sandwich and coconut. Apart from these, many animals and mythological animals such as dinosaurs (T-Rex), zebra and zombie are also added. The rest of the emoji update include Elf, Genie, Star-Struck face, Exploding Head. The latter two are practically made for morning-after texts. A 16-year-old girl from Saudi Arabia’s proposal of emoji for wearing a hijab was given by the girl. Previous articleJio Phone Launched For Free | Learn How To Do Pre-Booking?